Are you ready to register in one of the classes in our Art School? Great!, scroll down and decide which of classes work better for you. 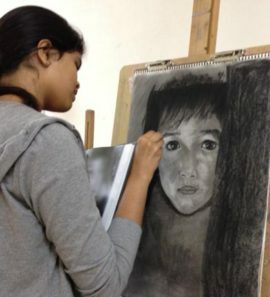 You can join any time to our fine art classes. You do no need to wait to the beginning of the month, we will pro-rate your tuition. Do not hesitate to give us a call if you have any question. 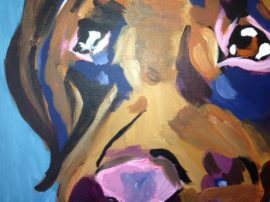 How many people do you know who say: “I don't have an artistic gene”? Well, at Art + Academy we can change that. Portrait. Work in progress by a teen student. 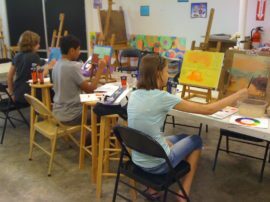 Art painting classes for teens. 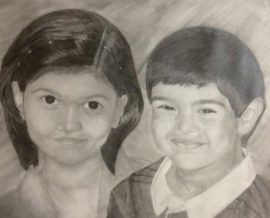 Kids Portrait. Pencil on paper. 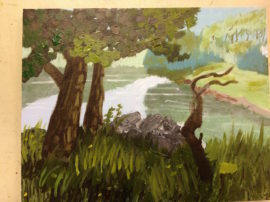 Landscape with acrylics by a 13-year-old student. Acrylic on canvas board by a 13-year-old student. 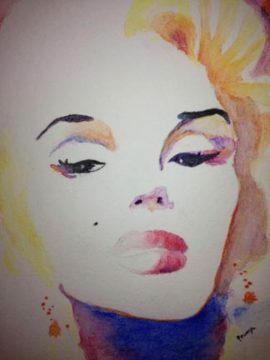 Watercolor on paper a by 13-year-old student. 3621 E. Whitestone Blvd. #700. Open during classes. Call for an appointment.